How do you take a hard-to-use, generic employee portal and transform it into a personalized, anytime tool that employees actually use and enjoy? Alston Bird is a leading national and international law firm that develops, assembles and nurtures the strongest and broadest array of legal talent and expertise necessary to meet our clients’ needs in an ever-changing and fast-paced environment. Alston Bird attorneys and staff were finding it difficult to find anything of value with its current dated SharePoint portal, and wanted a nicer and easier-to-use template. Since the current SharePoint template wasn’t connecting well with employees, we researched what employees wanted the most. We then took the common elements of what employees wanted and connected them to an updated template in SharePoint that not only looked better, but allowed employees to customize their dashboard by allowing them to add the content they specifically wanted. 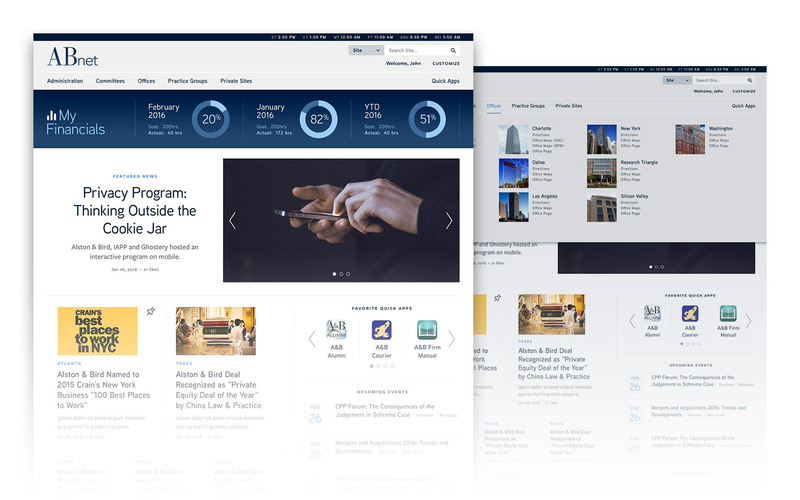 At the same time, we made it easier for the firm to push important information and initiatives to employees from more than 60 data points. 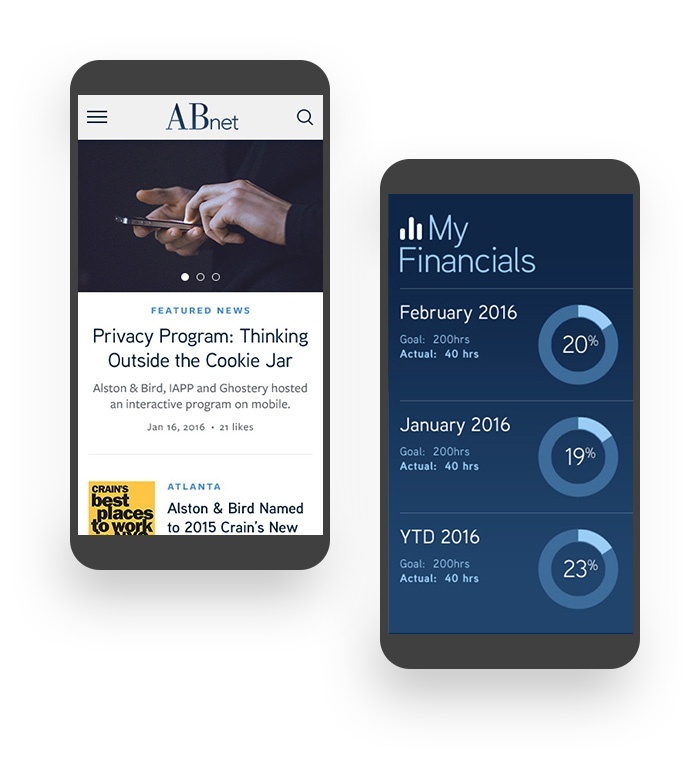 Alston Bird now has an updated and better-looking template on SharePoint that benefits employees, allowing them to access the kind of they content they need anytime, anywhere, while helping to keep employees informed and incentivized.